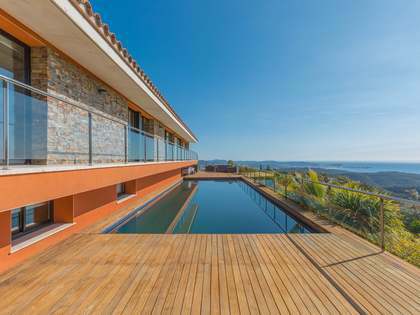 This luxury villa for sale is located in an upmarket residential area of Platja d'Aro and boasts stunning views over the Costa Brava coastline and the port of Palamós. 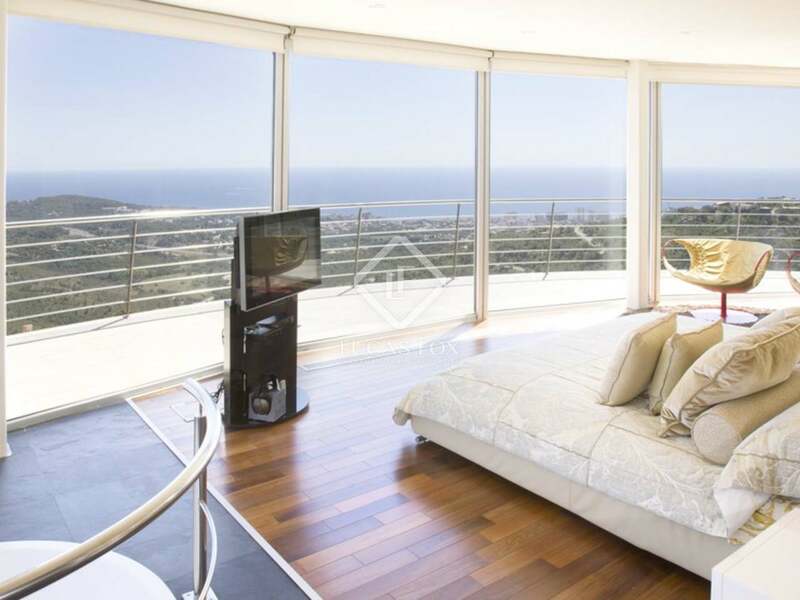 The property is located just 3.5 km from the nearest beach and the town centre of Platja d'Aro with its exclusive shops and wide offering of cafés, restaurants and bars. 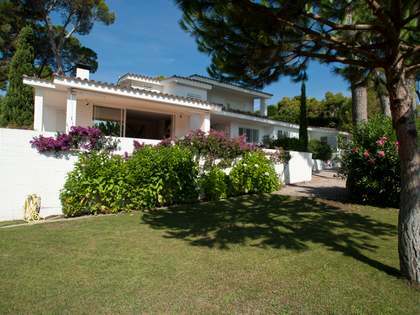 The property is also just a few minutes' drive from Golf d'Aro, one of the Costa Brava's most exclusive golf courses, and only 4km from Port d'Aro Marina, where there is the option to acquire a 12m mooring. The house measures 654m² and is distributed over 3 levels, offering spacious and light living areas with exquisite sea views. The beautiful infinity swimming pool is accessed directly from the main living room. On the upper floor there is a large and impressive master ensuite bedroom featuring a modern fireplace, a jacuzzi bath and stunning views over the Costa Brava coastline. On the basement level there is service accommodation and a garage for 2-3 cars. All 3 levels are connected by a lift. The property was constructed in 2007 and finished to a high specification. The air conditioning, electric window shutters and alarm system can all be controlled remotely. The property is constructed on a large plot of 4,666m² offering a high level of privacy and a beautiful Mediterranean garden with an automatic irrigation system, a waterfall and a pond. 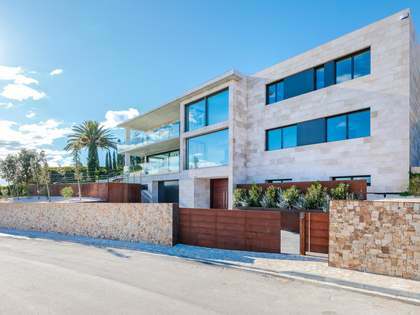 This luxury, contemporary style, Costa Brava villa is located in an exclusive residential area close to the town, beaches and marina of Plajta d'Aro and S'Agaró, and just a few minutes' drive from the nearest golf course. The property is only 35km from the nearest airport (Girona) and just 120km from the centre of Barcelona.